Everyone loves to be thanked for going above and beyond their role. I’m sure you value your employees and appreciate them for the work they do, but do you think they know? THAT is the bigger question. Establishing some type of employee recognition program can be as simple as printing out this article and using the ideas to thank employees when the times arise. Recognizing your employees may seem like a small act, but the benefits can be huge to your business. 1. A simple thank you. This can be in the form of a thank you card, email or a quick chat in the hallway. A “thank you” goes a long way, especially when it is sincere. 2. “Pizza in the conference room!” The way into your employees’ hearts may be through their stomachs. This works great if your group worked together to reach a goal. If you have sweet-tooth’s on your team, try donuts and coffee instead. 3. Companywide thank you. Another great way to thank someone for their hard work is by sending a companywide email showcasing their hard work. Or, if you already have a monthly or quarterly newsletter in place, add a recurring section to highlight employees who went above and beyond that month. 4. One-on-one lunch. Everyone loves the opportunity to have lunch with the boss, and this is a win-win situation for everyone. The employee will feel honored having lunch with you, while you can learn more about your employee and even pick their brain for new ideas or feedback. 5. Two words: Scratch offs! Since the likelihood of them winning the lottery and leaving the company is pretty low, the scratch off is a fun, inexpensive treat. 7. 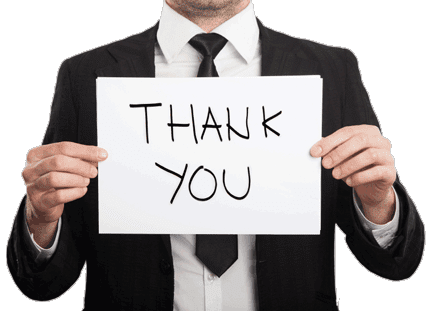 Get your boss to say “Thank you.” Although employees would love to receive praise from you, you may think to get your superior involved by asking him/her to stop by your employee’s desk and say “thank you” as well. Ask your boss to explain the bigger picture, and why the employee’s actions were so beneficial to him/her personally. 8. Do their job for a day. Offer to do one of your employee’s tasks for a day. This is a really unique way to thank and bond with your employees. Don’t be afraid to ask them for help! 9. Personal time. Give your employee a free pass for as little or as much time off as you’d like. Even just an hour can help your employee miss traffic or get to a concert or event on time. 10. Reserved parking spots. If parking isn’t ideal at your office, try creating a reserved parking spot for the “employee of the month.” Employees will appreciate not having to search for a parking spot for a few weeks! T: Be timely. Don’t wait a week to thank them for something they did. Make sure your thank you is timely. T: Tell them why. Make sure you’re clear as to why you’re thanking them. E: Explain the big picture. Tell them exactly why their small (or big) act is such a big deal. B: Be authentic. If you’re not the type that sends pink, scented thank you cards, don’t start now. Stay true to your style. We’d love to hear from you. How are you recognizing your employees’ work well done? The only way we can continue to grow is to occasionally look back and reflect on previous successes and lessons learned. The new year is a perfect time to do that. Take a few minutes to think about 2013. What did your group do well? Not so well? What added skills and abilities would help your team achieve their goals? Now is the time to think about what you can do to make 2014 the best year yet. Creating a training and development plan for your staff members is an important piece to the organizational effectiveness puzzle. 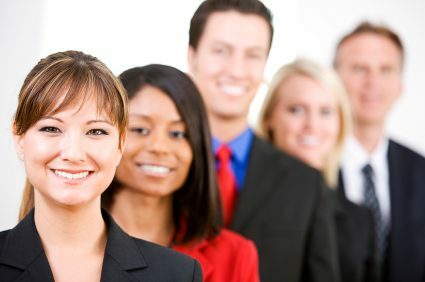 Remember: Investing in current employees is much less expensive than hiring and training new ones! Brainstorm. What do you think your employees need to be successful? Communicate them with your team. Create an action plan. How can we achieve the goals? Online courses? Instructor-led courses? Mentoring? What will work for the learner? Ensure you’re doing everything in your ability to give you and your team the tools they need to succeed by creating personalized training and development plans for your team. And that’s where Corexcel comes in! We pride ourselves on finding the solutions for your team in the avenues and price points that work for you and your employees. Whether it’s DiSC Profiles and online assessments, train the trainer, customized training for your group or accredited, online business skills or clinical courses; we’re here to help companies of all sizes and industries reach their goals. Fully accredited, online, self-paced courses on topics such as Human Resources Management, Management, Non-profit Management and many more. Check out our course on Training & Development plans! Our most popular profile (available online or in paper booklet) is often used in hiring or by organizations on a budget looking for a snapshot of their employees’ behavioral tendencies. The Everything DiSC product line offers online behavioral assessments & training materials on Workplace Communication, Sales, Management, Leadership and 360 Feedback Reports for leaders. Our online, self-paced Medical Terminology and Anatomy and Physiology courses are available for CEU certificates. Our online, self-paced nursing CEU courses can be read online or printed/read offline. Only pay when taking your final exam. All courses award ANCC Contact Hours accepted nationwide. Corexcel is an approved Florida provider: # 50 – 452. Corexcel is an approved California provider # CEP 13687.